The FiberTAG project came from the first ERA-HDHL Cofounded joint call for funding multilateral research projects on “Biomarker for nutrition and health”. The FiberTAG project will establish a set of biomarkers linking dietary fiber intake and gut-microbiota related health effect. 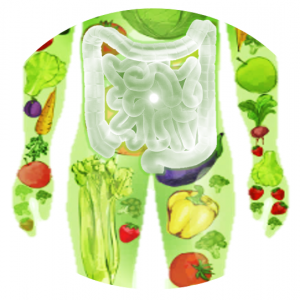 The FiberTAG project aim at refining the concept of dietary fiber based on novel biological effects that can occur upon gut microbiota-nutrients interaction by using existing cohorts and by developing innovative approaches to evaluate the health interest of novel insoluble dietary fiber. The FiberTAG consortium gathers 4 research groups from Belgium, France, Germany and Canada. They gather complementary expertises such as 1) host physiology with emphasis on management of cardio-metabolic disorders, 2) intervention studies based on diet and DF, 3) microbial ecology, 4) data integration and modelling. Two industrial partners (Kitozyme and Mondelez) will develop and provide selected insoluble fiber for the intervention studies.